Parents are gravitating towards organic baby clothing to limit the exposure that their little ones get to toxic chemicals that are used in the making of everyday fabrics. Non-organic baby clothing is often made from synthetic fibers manufactured with petrochemicals, acrylic (polycrylonitriles), PVC, and esters that are linked to a variety of health problems. As we began to explore the world of baby organics, we were happily surprised to find a wide range of options across every price point. These organic baby clothing brands are leading the way to a new era of clean starts and healthier babies. To further pamper and protect your little one, check out our favorite natural and organic baby care brands as well! 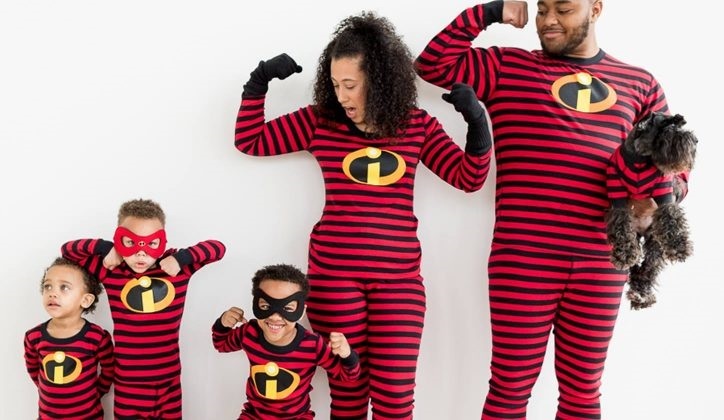 Hanna Andersson features an exclusive line of stylish organic clothing, ranging from outfits perfect for your favorite little superhero, to floral-themed pajamas. Their 100% organic pima cotton makes all of their clothes breathable, relaxed, and incredibly comfy. You’ll want to snuggle with your little ones all night in this super-huggable sleepwear! PACT knows the dangers of environmental toxins, sweatshops, child labor, and debt slaveries in the clothing industry. Their mission is to create ultra-comfy and stylish cotton apparel and accessories that don’t hurt people—all products are ethically made by workers being paid living wages, and are held to the highest environmental and social standards. There are products for moms, dads, and babies alike, perfect for the globally-minded parent! L’ovedbaby wants to provide parents and children with the best organic clothing possible—and they want to protect the parents who farm their cotton as well. That’s why they are GOTS-Certified, meaning they don’t use any harsh chemicals, and they protect the laborers with fair living wages, freely chosen employment, and a non-discriminatory workplace. Their sweet clothing is available for preemies all the way up to 6 year olds, so you can keep your babe wearing these organic fibers for years. If you’re looking for adorable and affordable, Touched By Nature is a great source for organic baby clothing. They have a wide selection of colorful, cute patterns and animal prints for your beloved baby. Plus, they sell on Amazon, so you can take advantage of Amazon Prime’s 2-Day shipping when you need clothes in a pinch. Art & Eden is returning honesty and responsibility to the fashion industry by creating their sweet baby and kids garments from natural materials in fair and safe working conditions. 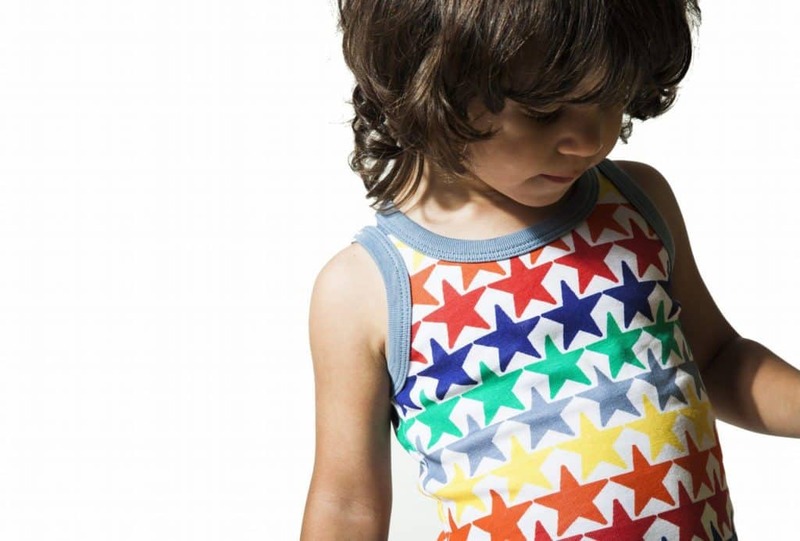 Their colorful patterned pieces are made with low-impact dyes and GOTS-certified organic cotton that is safe for your little one’s skin. Plus, they fund a mentorship program and a give-back program that helps provide multivitamins and health essentials to children in need. Penguin Organics’ passion for supporting the development of happy, healthy babies is evident through their 100% GOTS-certified cotton baby clothes and products. We can’t get over their super-soft, super-cute and colorful blankets for babes. In addition to the company’s mindful considerations of our planet, they support Fair trade to help producers in developing countries achieve better trading conditions and to promote sustainability. Baby Hero takes a holistic approach to making mindful baby clothing: from the organic cotton they use to the fair and safe factory their garments are made in, their process prioritizes people and planet. Their adorable, super soft organic onesies and footies are healthier for babies’ skin, and with each purchase they take infant health one step further by funding life-saving medical items for newborns in need. Finn + Emma believes you made your little one organically, so why add chemicals now? Their adorably stylish bodysuits, classic pajama sets, and whimsical rattles are all made with 100% organic cotton, eco-friendly dyes, and all-natural wood in Fair Trade settings. We love their commitment to providing jobs that focus on social and economic independence, especially for women, in countries like Peru and India. Mini Mioche is your one-stop shop for all your fair trade needs, from fashionable harem pants and peplum tops for your baby, to baby jelly and creams for mom. We especially love that every piece created by Mini Mioche is designed and made locally in Canada, with stunning neutral non-toxic dyes and super soft organic cotton. You never knew you needed an eco-friendly organic cotton romper until now. Burt’s Bees isn’t only good for organic lip balm and natural face wash; the well-loved brand also sells organic, natural baby apparel and newborn essentials, as well as family jammies sets, jumpbees, and clothing for kids. A transparent and US-based company, Burt’s Bees is proud of its awards, including its GOTS certification for meeting the highest global standard for organic textiles. Parents rest assured: Burt’s clothing is safe and comfortable for your baby. Under The Nile grew from one mom’s mission to find the best cotton for her baby, without chemicals or pesticides. They now source 100% handpicked organic Egyptian cotton for all of their products; our personal favorite are the pastel-colored booties and gorgeous cable-knit cardigans. We most admire their commitment to make ethical shopping practical and affordable. From Babies With Love is an apparel and accessory social enterprise based out of the UK. 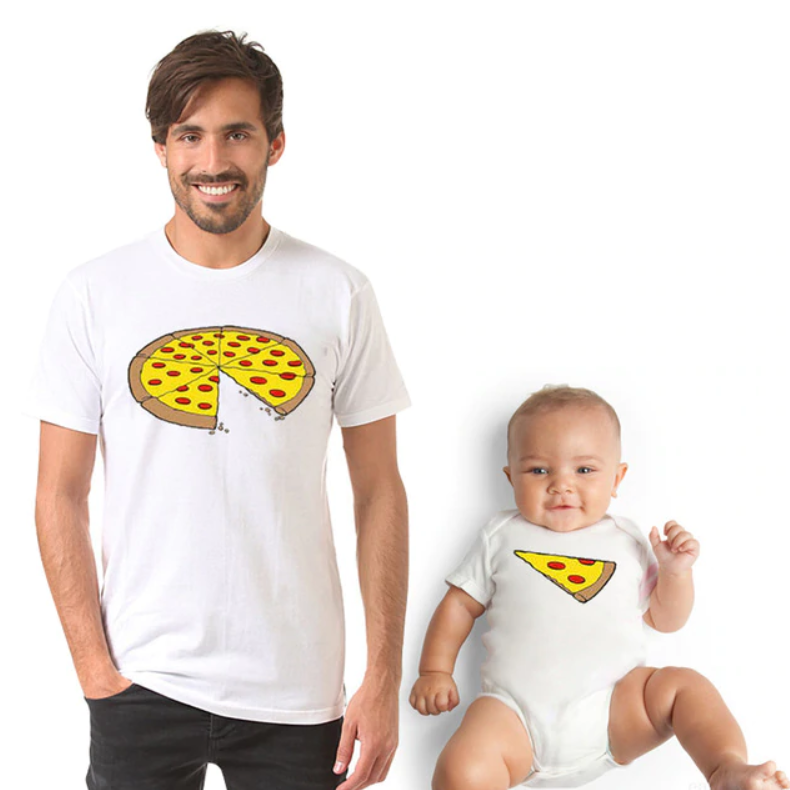 We love that all proceeds benefit children around the world in need of families through SOS Children, from Mita in Bangladesh, to baby Fabio in Brazil. They feature fun multi-color and patterned products, ranging from tier-ruffled dresses to soft, cozy blankets.